Our goal is to teach and educate the all important value of oral health and what each and every patient can do to keep his or her teeth healthy during their lifetime. 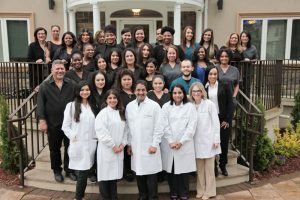 Our state of the art dental technology, and most importantly our continuing professional education program for all the members of our dental team play a major part in accomplishing that goal. MALO SMILE USA is unique in more ways than one. We are the only entity in the United States whose medical staff participate in exclusive and continuous training programs with the world renowned MALO CLINIC, and participate in MALO’s ongoing research and scientific studies. We feel strongly about the need to explain and inform every single patient what treatment options are best suited and will provided the best solution to any given dental problem. We believe that no patient should accept a treatment that they don’t understand. At Malo Smile USA informed care centers around patient education and finding the best option for every single patient every time. Visit our Blog for dental information and oral health tips and check out some interesting and dental information.